Kanger JUPPI Kit is a powerful combination of 75W JUPPI TC Box MOD and 3ml JUPPI Tank. The MOD supports Ti, Ni, SS and Nicr for TC function, while the tank applies 0.2ohm NotchCoil structure. 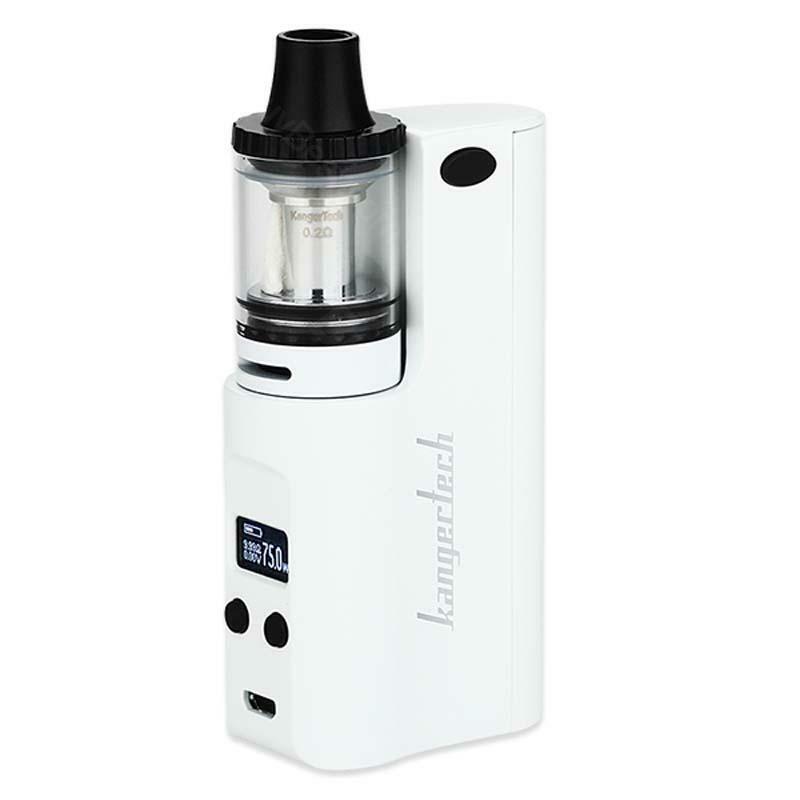 KangerTech JUPPI Starter Kit includes a 75W JUPPI Box MOD and a 3ml JUPPI tank. The MOD comes with a comfortable side fire button and supports Ti, Ni, SS and Nicr for TC function. While the tank applies 0.2ohm rewickable notchcoil. • No e-liquids and no 18650 battery. 75W Kangertech JUPPI Starter Kit is the most popular e-cig device now. This brand Kangertech carries on the healthy ideas, receives many people's approval. Super wenn man bei Feiern oder ähnlichen aich mit Dampfen möcht. Kangertech ist eine einfache Handhabe und auf Grund der Optik auch nicht so auffällig das man elektrisch raucht.